Sisters High School’s selection of student-run clubs and staff-run activities changes every year. There are many clubs to choose from. Some clubs are serious, with either an intellectual or political focus while others are just for fun. Whatever the focus, Sisters’ clubs add variety and fun to life in high school. Join a club, meet new friends! All new and continuing clubs must fill out a club registration form for the current school year. Forms are available in the main office. Turn in completed forms to Mrs. Fendall or Mr. Roth in the main office. There is no deadline for club registration. However, the earlier clubs register the more likely they are to have a viable membership. 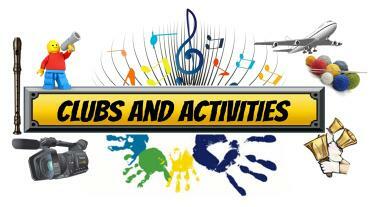 Application forms for new clubs are available now in the main office.